Your skin can be one of your greatest assets. It can improve your self confidence. Or it can diminish it. Our goal at Juventas Esthetic Center is to help you achieve healthy, beautiful skin without undergoing long, painful procedures with downtime. Our aim is to make you proud of your skin and provide overall radiance to your complexion. Another area of improvement that Juventas Esthetic Center focuses on is eliminating unwanted hair growth. In one of life’s many injustices, we can grow hair where we want it the least on our chin, underarms and bikini for women and the back and shoulders for men. There are methods of safely getting rid of this hair not to mention eliminate the countless hours you spend waxing, shaving, tweezing or simply accepting it as a lost cause. Intense Pulsed Light (IPL) is a remarkably efficient procedure that effectively treats sun damage, age spots (sun-induced freckles), and broken capillaries as well as improves signs of rosacea while stimulating collagen production. IPL has also been used to effectively treat scars both new and old. The same technology, Intense Pulsed Light, with some modification can also be used to treat unwanted hair. It is one technology with many amazing applications. How is Intense Pulsed Light performed? 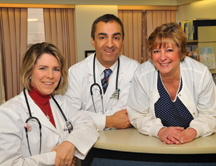 Our highly trained Certified Physicians Assistant or a licensed nurse or aestheticians will ascertain your concerns and give you specific details about your treatment. Before treatment a soothing gel will be applied to the treatment area. During the treatment, precise pulses of light are applied to the area of concern. Cold air may be used at this time to make you comfortable. If you are having treatment for pigmented lesions (freckles and age spots), keep in mind that the spots will darken slightly and then fade away after 7 – 10 days. Most people will experience mild temporary redness, similar to sunburn, in the treated area shortly after treatment. This will not interfere with normal activities and will subside quickly. If hair removal, broken capillaries or a scar is treated, you can expect a sunburn feeling as well as mild pinkness in the area that resolves within a few hours. Any area of the body can be treated for removal of age spots and broken capillaries as well as hair removal concerns. You may not have treatment on any area that has a real orartificial tan. How many treatments for hair removal? 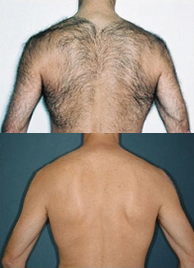 Hair removal treatment is only effective on hairs that are in a growth phase. Because your hair grows in cycles, 6 treatments spaced 6 – 8 weeks apart are average to achieve full results. Often, hair removal significantly improves bumps associated with hair growth (folliculitis) as well as suppressing hair growth between sessions. In addition to the above services, we offer customized fillers, Botox, and laser resurfacing. At Juventas Esthetic Center, we individually customize a treatment plan based on your specific wants, needs and desired results. We offer complimentary consultations and skin analysis. Juventas Esthetic Center is located conveniently in the heart of Newark and has a board certified general surgeon on staff. We offer daytime, evening, Saturday and Sunday hours. ← Previous Story Thinking about getting a Chemical Peel, Microdermabrasion, Laser Hair Removal, Laser Skin Rejuvenation, Botox, Dermal Fillers?